I am a strong supporter of the State of Israel. 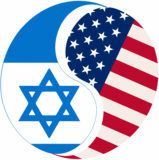 The alliance between the United States and Israel is the foundation of our Mideast policy and must remain so. But more importantly, our country’s commitment to Israel is based on our shared values and the lessons of history. Israel is a thriving democracy in a region filled with autocracies and violent terrorist groups. There must always be a safe haven for the Jewish people where they can live in peace and freedom. If elected to Congress, I will fight to not only preserve, but strengthen the relationship between the two countries. I am grateful for this opportunity to share with you my vision for the future of this vital bilateral relationship. The United States must remain committed to defending Israel and ensuring it maintains a Qualitative Military Edge in the region. Israel is a close ally threatened by a variety of hostile neighbors and non-state actors, enemies that threaten the United States also. Israel must always remain able to deter and defeat any credible threat arising from a nation-state, non-state actor, or any combination thereof. To guarantee that Israel continues to maintain such a Qualitative Military Edge in the region, I support full funding of the Memorandum of Understanding negotiated by the Obama Administration with Israel providing for $3.8 billion per year for 10 years. The United States and Israel must continue to work hand in hand to defeat terrorist groups and prevent future terrorist atrocities in Israel. The United States must work with our Israeli partners to counter the threat that Iran poses to the region and the wider world, and to prevent it from acquiring nuclear weapons. Iran is a threat to the security of our two countries and the peace of the region. It supports terrorist groups like Hezbollah; tests medium range ballistic missiles; props up the murderous regime in Syria; and pursued a clandestine nuclear weapons program in violation of international law. I support strengthening sanctions against Iran for its efforts to destabilize the region and threaten its neighbors. The Joint Comprehensive Plan of Action must be strictly and vigorously enforced, and any violations swiftly punished. The United States should support negotiations between Israel and the Palestinians, with the goal of two states living peacefully side by side. The United States should do everything it can to encourage Israel and the Palestinians to negotiate an agreement that ensures the peace, security, and prosperity of both sides, but there must be a reliable partner on the Palestinian side for negotiations to succeed. No party–whether they be foreign governments or multilateral international institutions–should attempt to dictate the terms of any such agreement or pressure the parties to come to an agreement. Instead, the United States should play a leading role in facilitating discussions between the parties. Any agreement must ensure Israel’s territorial integrity and security and guarantee its status as a sovereign democratic state and homeland for the Jewish people. I oppose the “Boycott, Divestment and Sanctions” movement because it seeks to isolate and delegitimize Israel. No one–neither the Palestinians nor the Israeli people–will benefit from this one-sided campaign that lays all the blame for the current situation on Israel. It will only push the parties further apart and make it that much more difficult to find an enduring peace. In Congress, I will support our only democratic ally in the Middle East, and encourage both sides to come together and negotiate a mutually beneficial peace. We must all unite to fight the growing scourge of anti-Semitism, here at home and around the world. It is appalling that anti-Semitism has found a new lease on life, with the number of anti-Semitic incidents in the United States surging by nearly 90% in the first three months of 2017. While the evil of anti-Semitism is not new, it has been fanned and encouraged by political rhetoric and given new outlets on the Internet. As a civil rights attorney, I am committed to fighting anti-Semitism with all my strength. I will stand up to both the rhetoric itself and the individuals spreading this hate.